One of the greatest pleasures of being in Rome is a trip to a Roman pasticceria for a treat. The classic pastry shops of Rome are a nod to times gone by- the best ones haven’t changed since they opened and are still run by the same families dedicated to making enticing pastries with inherited recipes. 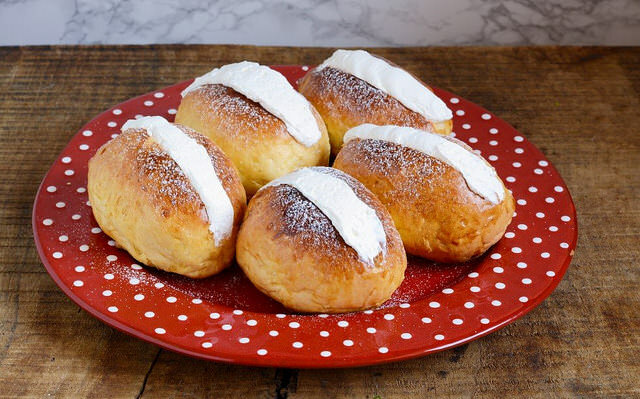 Sweet yeasted buns filled with a fanciful amount of cream. They are typical of Rome and have a charming history: the name derives from the Italian word for husband as hopeful young men would gift them to their soon to be wives. Wild sour cherries grow in the countryside around Rome and have become synonymous with the city’s most beloved tart, crostata. 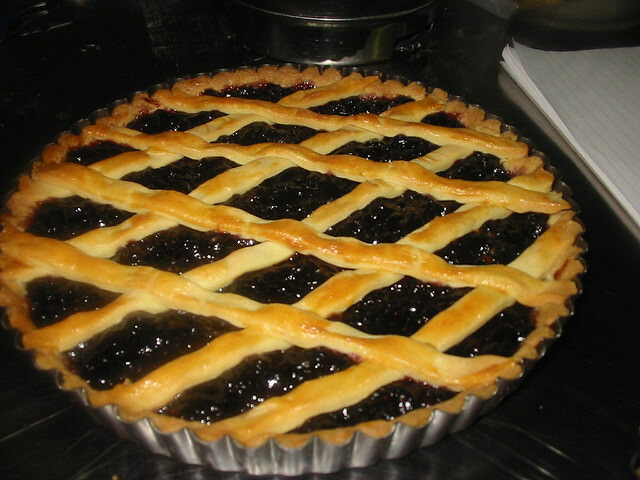 A sweet pastry base is baked with a generous filling of wild cherry jam and finished with a lattice top. The Jewish Ghetto of Rome is home to the best version of this tart baked until golden with a thick layer of ricotta. 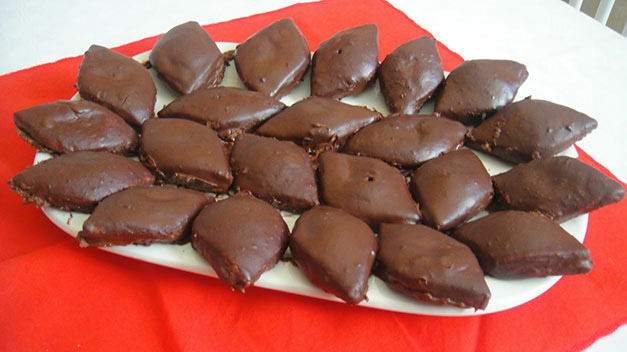 Almond shaped, chocolate covered biscuits, traditionally eaten at Christmas. They are made from ground almonds, cocoa powder, honey, some orange or lemon zest and depending on who you ask some ground cinnamon or clove. They are coated in a thick layer of dark chocolate and make a perfect gift to be enjoyed on christmas day when wrapped in a beautiful packet from the local pasticceria. Next to the breakfast cornetti and buns, there are rows and rows of daintly pastries, of all shapes and in uniform lines. 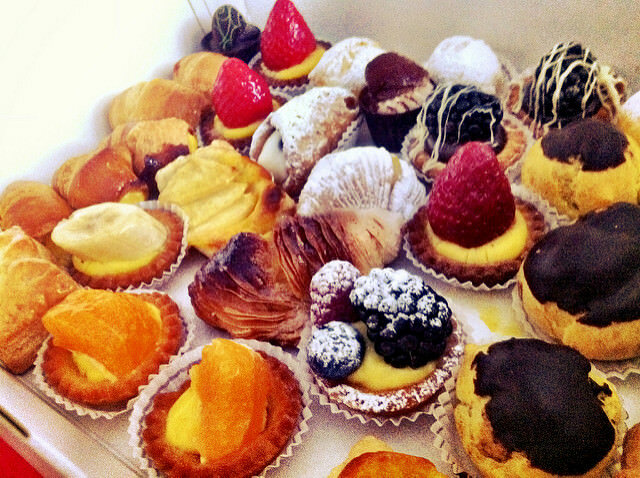 These are pasticcini and are little versions of all the famous pastries of Italy and a great way to taste some pastries from other regions such as the Rum Babbà of Naples or little Cannoli’s from Sicily.